I wanted to treat the love of my life and his brother to something special, they've been working so hard to make my studio a reality .... and found the perfect thing. To climb over the O2 building in London. I bought our tickets through Travelzoo for an evening climb and have to say it was a great deal for the three of us. £84 which included a professional photo each. The climb begins with a safety induction and the necessary last minute trip to the loo, then we were kitted out in a jumpsuit, boots and safety harnesses were snapped into place. From there it's a walk to a perfectly ordinary set of stairs that takes you to Base Camp, the starting point of the climb which is about three stories high. 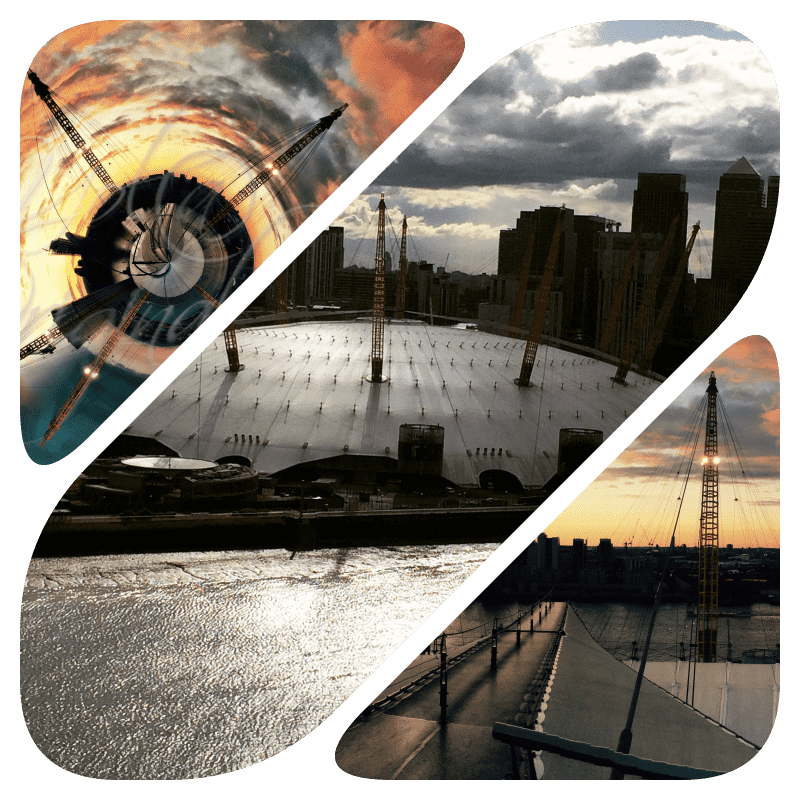 The walkway resembles a stretched, ridged trampoline with a twisted steel cable running up its centre, it is to this that our safety gear is clipped and we begin our walk over the old Millennium Dome. The climb is quite steep but gradually increases in increments until you reach the summit which has a large observation deck, perfect for scoring that perfect sunset shot. The view is quite simply extraordinary and armed with camera, proceed to capture as many magic moments as I can. It was at this location that inspired me to create 02 Horizon, in Visual Escapism. Would I recommend it? Heck yes!